Connect with nature and heal. The your light shine thru adventure and raise your frequency, Feel at home on vacation. At Hermosa Beach House Hotel you will wake up to the relaxing sound of the waves rolling onto the sands of Playa Hermosa Costa Rica. Surf Playa Hermosa and enjoy consistant surfing right out your front door. Playa Hermosa is one of the top destinations for surfers all over the world. 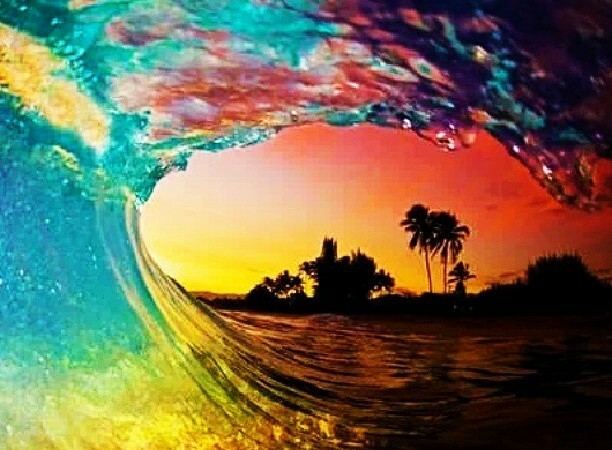 Costa rica is know by surfers as a top surf destination. There are beautiful waves and 85 degree water every day. The waters are also renowned for their world-class sportfishing. Sailfish, Marlin and dorado are only a few different types of fish caught daily on one of many boats available for a daily fishing charter out of Los Suenos Marina. Costa Rica has alot more to offer then just fishing and surfing so bring the whole family for an extensive activity list. 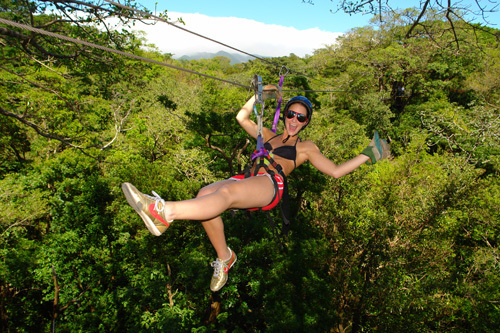 Fly thru the trees on one of 5 different jungle canopy tours. 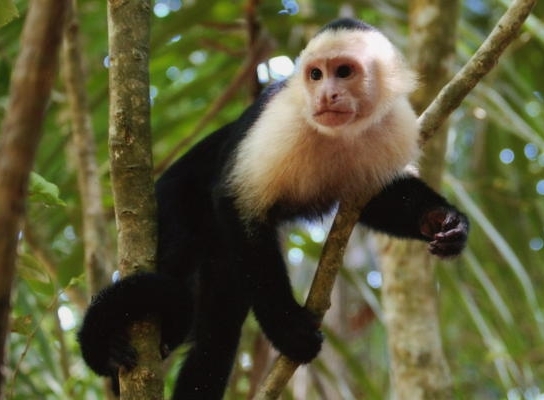 Or visit one of Costa Ricas many wildlife parks. Play a round of Golf on one of costa ricas best courses. So much to do and so little time. The beauty is, if you want you can do so much or you can do nothing at all. Just lay by the beachfront pool or swim in the ocean all day. Our Costa Rica hotel in Playa Hermosa is located only 5 minutes outside of Jaco beach which is one of the most popular towns in Costa Rica. In Jaco Beach there is Everything that you need. Many different types of Restaurants, shops, supermarkets and of course, bars. Jaco is the party capital of Costa Rica. The country of Costa Rica is located in Central America and has unlimited tourist potential. Costa Rica is ranked as one of the most visited international destinations in the world. One of it’s main sources of income is tourism. Costa Rica is a democratic and peaceful country. Costa rica's tropical rain forests have 6% of the existing biodiversity in the entire world. 25.58 % of the country is composed of conservation and natural protected territory. Costa Rica is also one of the top countries for investment and it offers great potential for large companies as well as individual investors. This is due to costa ricas politicaly stabil government. It doesn't matter if you want to surf playa hermosa, go deep sea fishing for world record marlin, fly through the trees in the costa rican rain forest, or just relax by the pool at our costa rica hotel. You will have an experience of a lifetime. Come experience Costa Rica at Hermosa Beach House Hotel. Our incredible location, Reasonable pricing, and friendly staff can help you have the vacation of your life. With affordable travel packages and a central location surrounded by popular tourist attractions, The Hermosa Beach House at Playa Hermosa Costa Rica is a vacation that travelers cannot pass up.